Some mornings find me with fresh eyes and a spring in my step, others have to beat through the cobweb of sleep with fists of savage sunshine and splashes of water so cold that I can feel each pore contract with a shiver. Today I was not only woken by sharp rays of light but also by my child's tiny hands as they kindly, and exuberantly, slapped me awake...and then slapped me some more for good measure. It's days like these I need a 'pick-me-up' breakfast; something cheerful, filling and most of all EASY. My great-grandmother hailed from Britain, and this meal was something she made for my mother, and in turn, what my mother made for me. 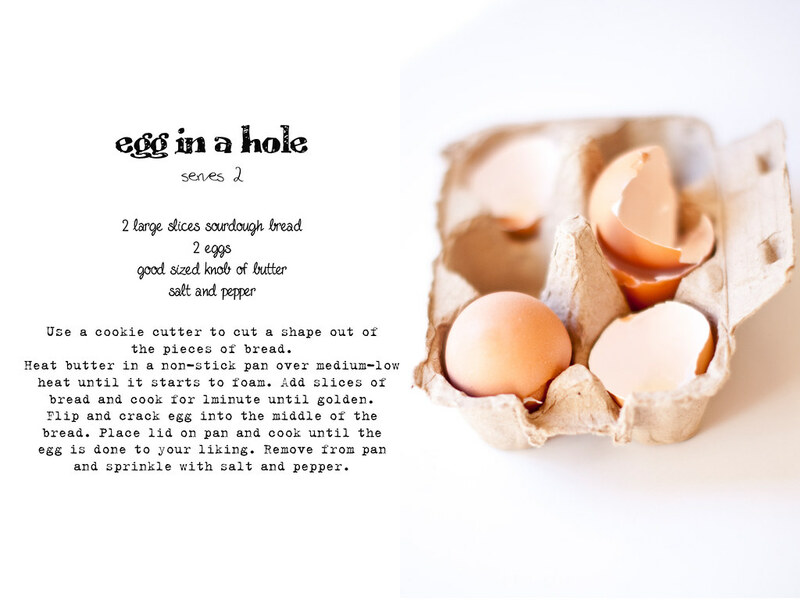 We refer to it as Egg in the basket, but I think it's more commonly known as Egg in a hole. 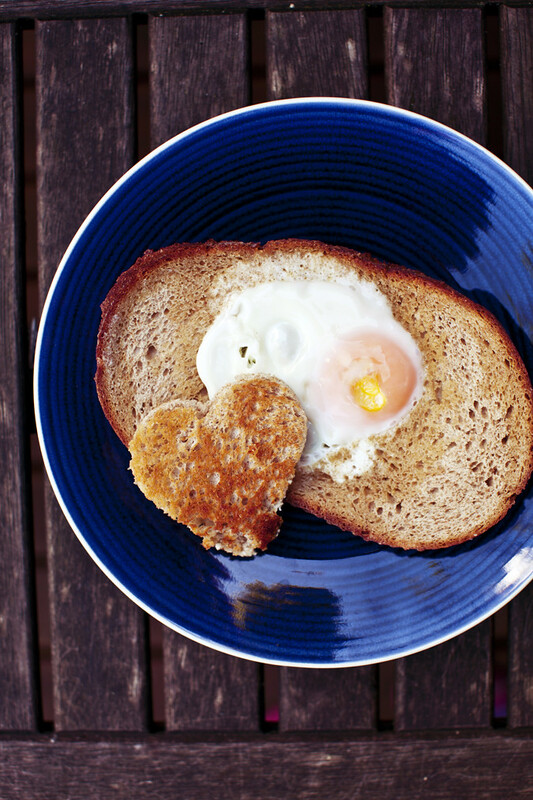 I attempted to use my artistic licence by creating a heart-shaped hole, however my generously sized eggs overflowed and hid the heart beneath their egg-white hems. To make this simple dish a little more 'top drawer', I sprinkled it with truffle salt which is, in my opinion, truly meant to be paired with the humble egg. (For a gluten-free dish use gluten-free bread, pictured above is wholemeal sourdough spelt). I've never seen truffle salt. I'm going to have to try find some! Now that is my kind of breakfast. Truffle salt makes everything better. The truffle salt sounds so special!